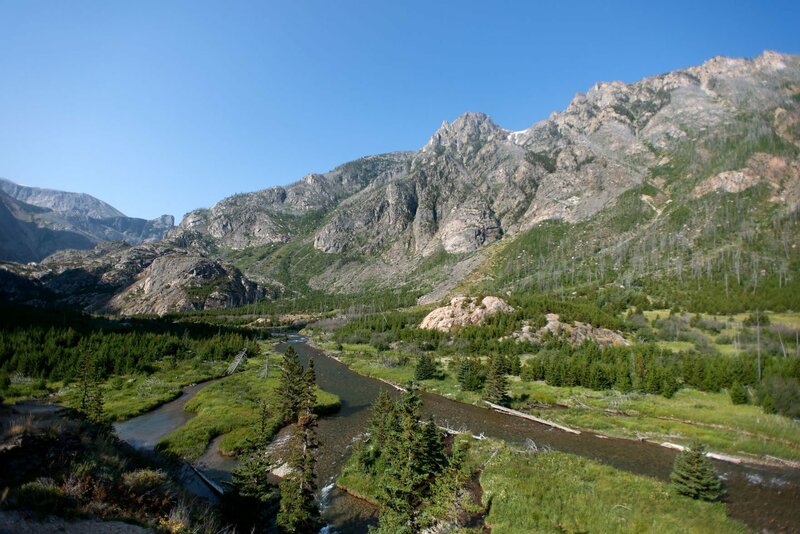 MINNEAPOLIS — As Tom Therrien and Todd Green half-ran recently through the rugged Beartooth Mountains that divide Wyoming and Montana, they prayed for help. Their friend Brad Johnson had been attacked by grizzly bears, and Therrien and Green fretted he might be dead. ... Another friend, Justin Reid, had stayed with Johnson, salving his many puncture wounds, while Therrien and Green backtracked for help through seven miles of wilderness. Stuffed with sleeping bags, tents, clothes and cooking gear, the men's packs weighed a hefty 60 pounds apiece. Yet with palpable anticipation for the five adventurous days that lay ahead, the men swung the provisions onto their backs energetically and began the long, mostly uphill hike toward Granite Lake. "It was a unique sound," Reid said. "At first we thought it was an eagle or perhaps a hawk. Then we heard a human voice, and we said to one another, 'Did you hear that? Did you hear that?' Whatever it was, it didn't sound good."